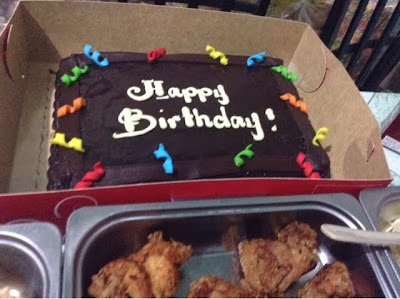 As you may know i did celebrate my birthday last November 9. 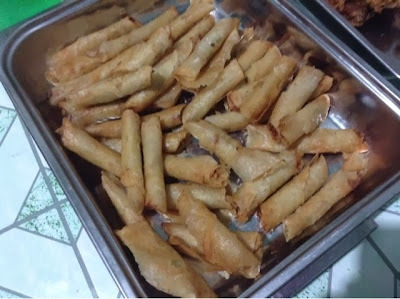 It was a celebration at home and my mom prepared home-made specialties that were very famous in ever birthday celebrations. Vinegar, ground pepper, jalapeno or the siling green, onion, vetsin, salt and sugar. To prepare all you have to is to cut the onion and jalapeno or siling green in the small pieces. Then you want to add your desird amount vinegar. Put a pinch of ground pepper, salt and vetsin and don't forget the seceret ingredient sugar. Sugar will add a contrast flavor to the dip. 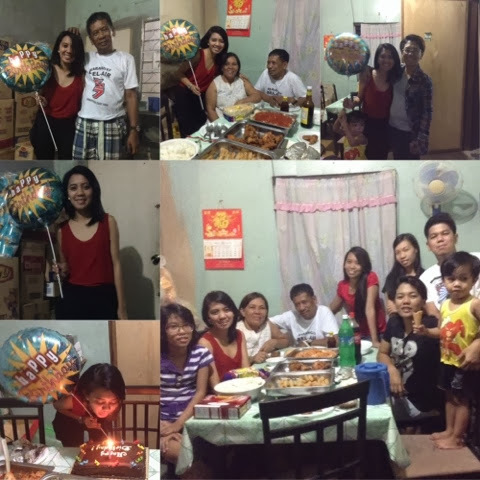 Anyways the birthday is celebrated with the whole family and here are my favorite pictures. 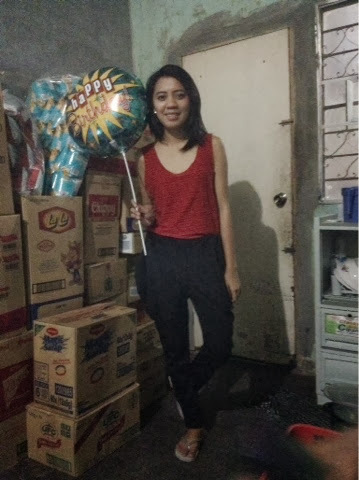 My eldest sister gave me this birthday balloon and i just so need to have a pic with it. 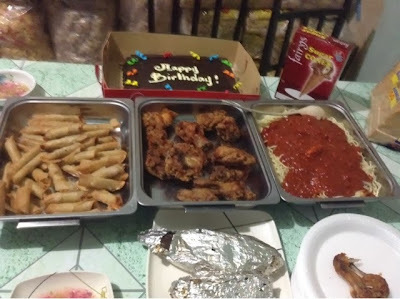 Typical Filipino birthday foods. :) Spaghetti, fried chicken, ice cream and so on. Birthdays are as always best to be celebrated with the family. I am glad for this year though i am missing my boyfriend in the picture because he can't come. All in all i am blessed and fulfilled and hopeful for the next years.